The separate Districts of Counties-Manukau and Hauraki were merged to form the Counties-Hauraki District, with the more outlying Lodges forming part of the Bay of Plenty and Waikato Districts. This provides the Counties-Hauraki District with a close-knit Town and Country feel, with Member’s professional skill sets ranging through Agriculture, Office, Sales and Industry. 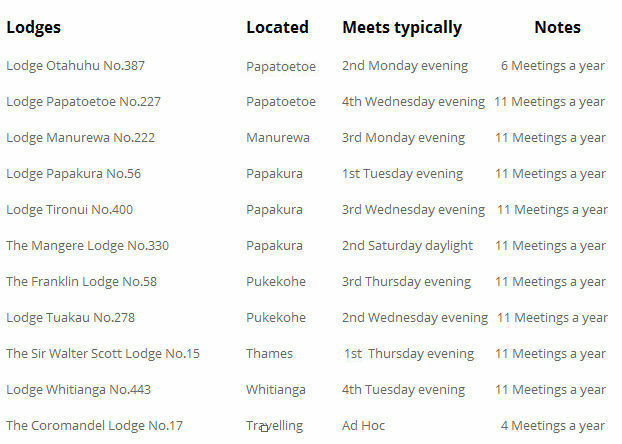 Each of these Lodges have their own unique characteristics and the Members seem a perfect match to their environment, with Brotherhood and Friendship underpinning a vibrant community of Masons, making Membership a truly pleasurable experience. 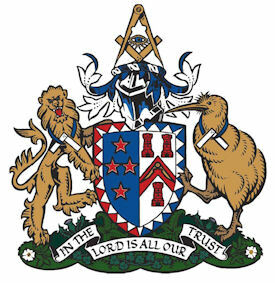 The ages of active Brethren range from 18 to 100 years young, with a wide ethnic and religious background, and support a wide range of Benevolent activities including the South Auckland Masonic Charitable Trust, which has an active interest in retirement homes in Papakura, Ngatea and Whitianga. Wives and Partners, and Masonic Widows, are welcomed and encouraged to be part of most Installations and Social Events which adds to the sense of Community.